From history to culture, Philadelphia is such a fun place to visit with the family. Plan a trip there soon and check out these 10 Things To Do With The Kids In Philadelphia. How is your summer going so far? Have you hit the road to venture and explore with your family yet? Summer time is fun time! We staycation during the summer due to our busy lives on our family farm. 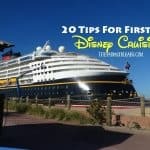 This often includes impromptu day trips with the kids. Road-tripping is so much fun. It’s a great time to bond as a family too. Sometimes, the places we like to explore are the ones closest to us. Lucky for us, we live a short 45-minute drive from Philadelphia. There is so much for families to see and do in the City of Brotherly Love. From museums to history, to food, Philadelphia has something fun for everyone in your family. Before embarking on any road trip with the family, I always make sure we pack plenty of snacks. When we head to Philly for the day, a cooler filled with RITZ Crisp&Thins (my favorite), Sour Patch Kids (the kids’ favorite) and A&W® (everyone’s favorite) is a must. We like to find a nice place to sit down and take a break before blazing the trail to see more sights of the city. Have you tried RITZ Crisp&Thins yet? They are really delicious and have 50% less fat than regular fried potato chips. I enjoy them because they have the perfect amount of salt with the right amount of crunch. 10 Things To Do With The Kids In Philadelphia! The African American Museum in Philadelphia – This museum takes a fresh and bold look at the stories of African-Americans and their role in the founding of the nation through the core exhibit Audacious Freedom. Children’s Corner, an interactive installment for ages three through eight, lets kids explore the daily lives of youth in Philadelphia from 1776-1876. 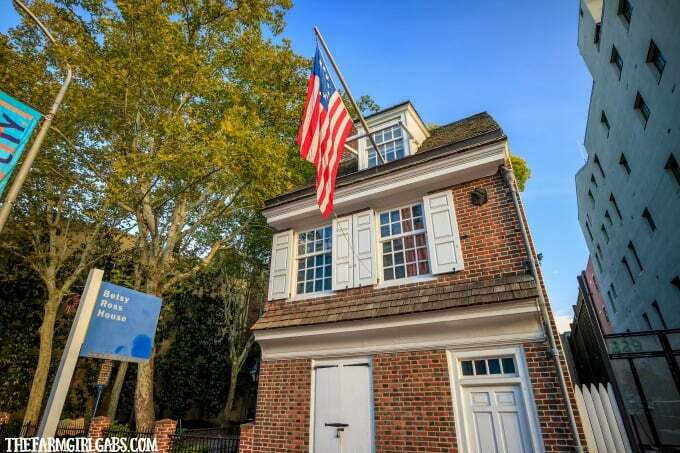 Betsy Ross House – America’s most famous flag maker greets guests in her interactive 18th-century upholstery shop. Visitors learn about Betsy’s life and legend from the lady herself and Phillis, an African-American colonial who explains and shows what life was like for a freed black woman in the 18th century. Federal Reserve Bank of Philadelphia – Everyone handles money, but how does it arrive in people’s wallets? The Federal Reserve’s hands-on Money in Motion exhibit at explains it all. Independence National Historical Park – The Liberty Bell Center, Independence Hall, Congress Hall, the Benjamin Franklin Museum and the Bishop White House are just some of the attractions that make up America’s most historic square mile. In the summer months, the park offers ranger-led walking tours. National Constitution Center – Visit America’s first and only museum dedicated to the U.S. Constitution. Highlights include interactive exhibits; the powerful, multimedia Freedom Rising performance; Signers’ Hall, filled with life-sized statues of the signers of the U.S. Constitution; and nationally touring exhibitions. National Museum of American Jewish History – Independence Mall’s modern, four-floor tribute to the Jewish-American history and traditions showcases the lives of history makers (Albert Einstein, Golda Meir, Jonas Salk) and industry giants (Estée Lauder, Barbra Streisand, Steven Spielberg) through exhibitions young visitors understand. Once Upon a Nation Storytelling Benches – Spread throughout the Historic District—including just outside the new Museum of the American Revolution—13 benches beckon with free, five-minute tales of Philadelphia’s history and even some forgotten secrets, told by professional storytellers. Story benches are marked with Once Upon a Nation signs. The Franklin Institute – The region’s premier science museum features a full city block of kid-friendly exhibitions, such as the walk-through Giant Heart, Space Command, SportsZone, Sir Isaac’s Loft, Amazing Machine, Electricity, Train Factory, The Franklin Air Show, Changing Earth and the outdoor, rooftop Joel N. Bloom Observatory. The Franklin also houses the Tuttleman IMAX Theater, the Fels Planetarium and a 3-D theater. Philadelphia Zoo – America’s first zoo and one of the region’s foremost conservation organizations is home to nearly 1,300 animals, many rare and endangered. The zoo offers a first-in-the-world animal travel and exploration train system—called Zoo360—that enables primates and big cats to move above and across the main visitor pathway. Please Touch Museum® – Housed in Fairmount Park’s Memorial Hall, this major kids’ attraction includes two full floors of interactive exhibit zones, plus a fully restored century-old carousel. Kids can play and pretend amid Alice’s Wonderland, River Adventures and other hands-on fun. What are some of your favorite road trip treats? Have fun hitting the road this summer. Remember to make the most of it, enjoy each other’s company, have fun and don’t forget the snacks!